Foodies Rejoice With Restaurant Week And A Great Massage! San Diego’s 10th annual January Restaurant Week is happening from Sunday, January 19 to Friday, January 24. Twice a year, (January and November) over 150 restaurants all over San Diego participate in this event, creating exploratory menus at low prices. Restaurants prepare 2-course lunches ranging from $10-$20, as well as 3-course dinners that range from $25-$35! Are you new to the area and looking for some recommendations? Try Café Coyote in Old Town for some delicious, authentic Mexican food and check out the historic buildings from when San Diego was just getting started. After your lunch, you can head over to the Happy Head Massage on Sports Arena and try our Swedish or Deep Tissue massage. Want to try something more Asian-inspired? Check out Taste of Thai in Hillcrest for lunch, and head to our Happy Head location nearby for a 60 minute Thai Combo massage. The Gaslamp District and Downtown have a lot of participating restaurants. You could spend all day walking around the area and you’re guaranteed to find something new to try. You could try lunch at The Yard House, which houses great tasting craft beers on tap. After all that walking around, you could head to our Happy Head location on Market and 2nd and try our 4-hand Asian Style body and foot massage. Whether you are only in town for a day or two, or a San Diego native, this event will send your taste-buds on a culinary adventure. You can travel all over the world, from Greece to Thailand, down to Argentina and back to America, all without ever leaving San Diego! There is no need to buy tickets or any extra costs; just book a reservation with the participating restaurant of your choosing, show up, and enjoy! BONUS: There are no limits to how many restaurants you can try! Looking for an easy and inexpensive date night? Check out one of the restaurants participating in San Diego Restaurant Week, and then head to Happy Head Massage and get a couple’s massage! 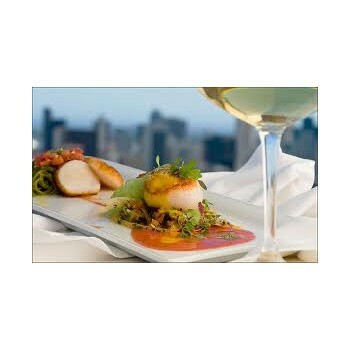 For a list of participating restaurants, head to http://www.sandiegorestaurantweek.com/restaurants. Got a Smartphone? Get free massages! Is Sports Massage Good For Runners?